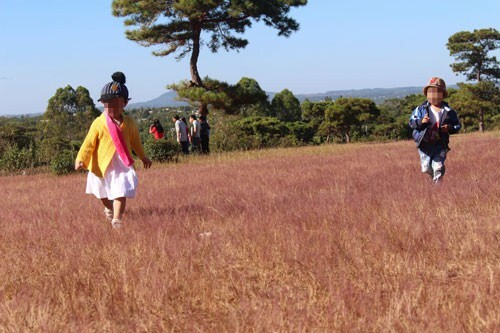 A VND1.32 trillion (USD57.39 million) 200-hectare golf course will be built on forested land in the Central Highlands province of Gia Lai. Gia Lai authorities and FLC Group have signed a contract where the province will lease 200 hectares of currently forested land for the golf course. The information was given by Ho Phuoc Thanh, director of the provincial Department of Planning and Investment at a press conference on Gia Lai’s investment promotion forum on November 14. According to Thanh, FLC won the contract to build the 36-hole golf course at Glar Commune, Dak Doa District as part of a 500-ha project which also includes hotels and resorts. The site is currently a popular pine tree forest which has attracted a large number of visitors. 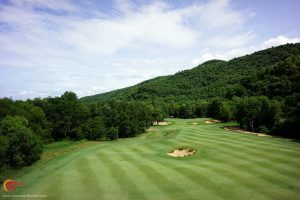 Many people have raised concerns that the golf course would affect the local environment, particularly as golf courses in neighbouring Lam Dong Province are completely underperforming. Ho Phuoc Thanh said that Dak Doa golf course passed its environmental impact assessment approved by the Ministry of Natural Resources and Environment. Once operational, it is expected to boost the province’s economic development. 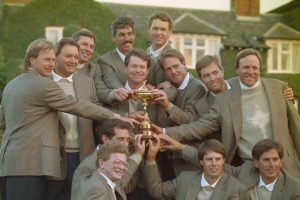 Thanh claimed that the pine tree forecast often attracted visitors seasonally, but the golf course could potentially attract people all year-round. 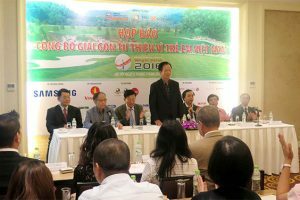 “Binh Dinh Province has outperformed Gia Lai thanks to the operation of golf courses,” Thanh suggested. He claimed Lam Dong’s golf course failures were due to poor management.